Happy Valentine’s Day my friends! This here is a special little something from me to you. 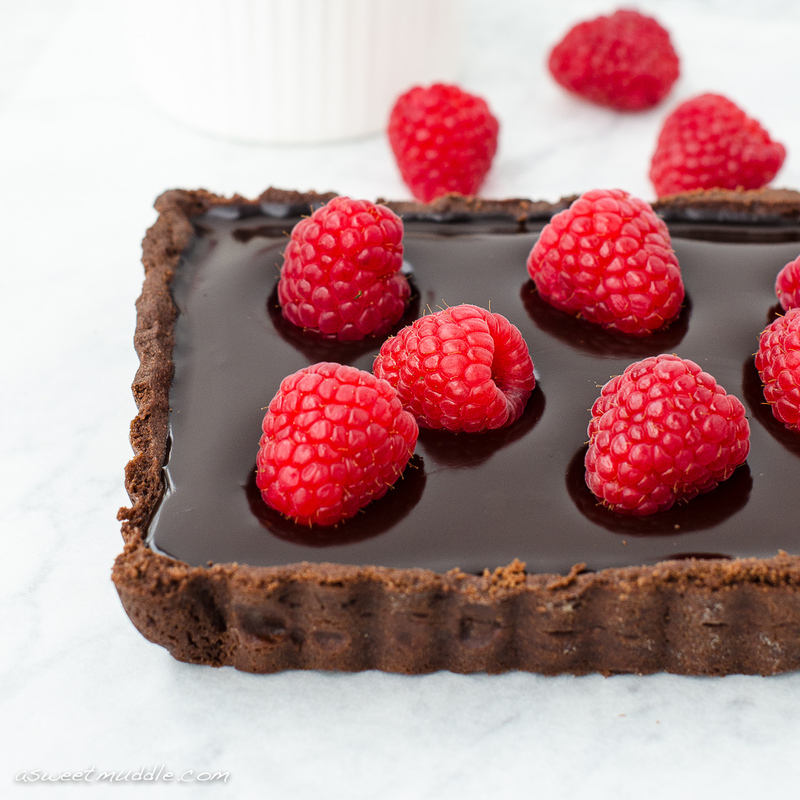 Whether you’re planning on spending a romantic evening with your special someone, or a whole bunch of special someones, this Chocolate tart is a sure fire way to set the scene this Valentine’s Day. It certainly ticks all the boxes for a Valentine’s treat. Chocolate (tick). Heart shapes present (tick). Indulgent (tick). And if you’re short on time, it ticks a few more as well. Simple (tick). Quick (tick). Tasty (tick. tick.)! I’ve been wanting to try my hand at a chocolate tart for a long time now, so it seemed the perfect thing to bake this week. For the pastry I modified my sweet pastry recipe by adding a some cocoa (but if you’re really short on time, you can always cheat and use store bought pastry although it just won’t be chocolate). I looked at a number of recipes for the filling, and in the end opted to use Jamie Oliver’s recipe. Sift the flour, icing sugar and cocoa into a large mixing bowl. Add the butter cubes and, using your fingers, gently work the butter into the flour mixture until it resembles breadcrumbs*. Add the egg yolk, vanilla extract and just enough water to bring the mixture together in large clumps. Knead the dough very lightly and shape into a round ball, taking care not to overwork. Flatten the ball into a round disc, then wrap in cling-film and place in the fridge to rest for at least 1 hour or until ready to use**. Preheat an oven to 180C and lightly grease a 35 cm x 13 cm rectangular tart tin. Roll out the pastry on a clean, lightly floured surface and use it to line the tart case, leaving the excess to hang over the sides. Line the pastry with baking paper, fill with ceramic baking beans and blind bake for 10 minutes. Remove the paper and beans and bake for a further 15 minutes. Trim the excess pastry from the edges. Place the cream, sugar and salt in a small saucepan and bring to the boil then immediately remove from the heat. Add the chocolate and butter and stir until the ingredients are combined. Leave to rest for a couple of minutes before stirring in the milk. 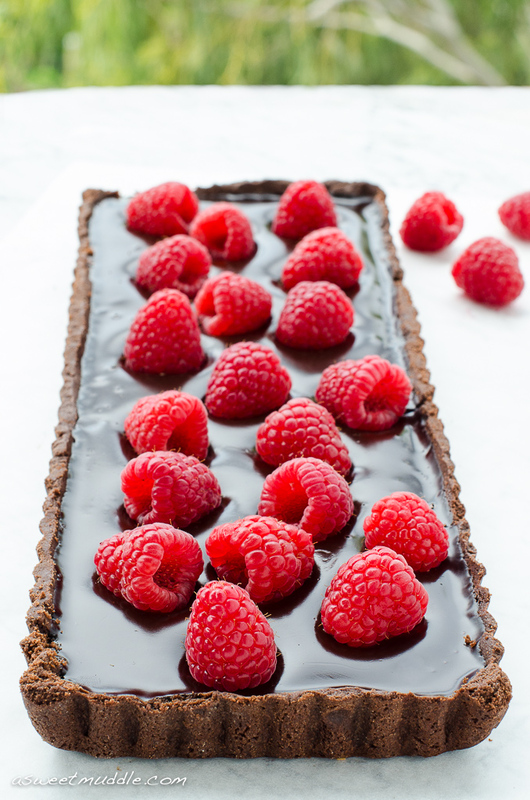 Pour the chocolate mixture into the tart shell and refrigerate until set (approximately 30-60 minutes). 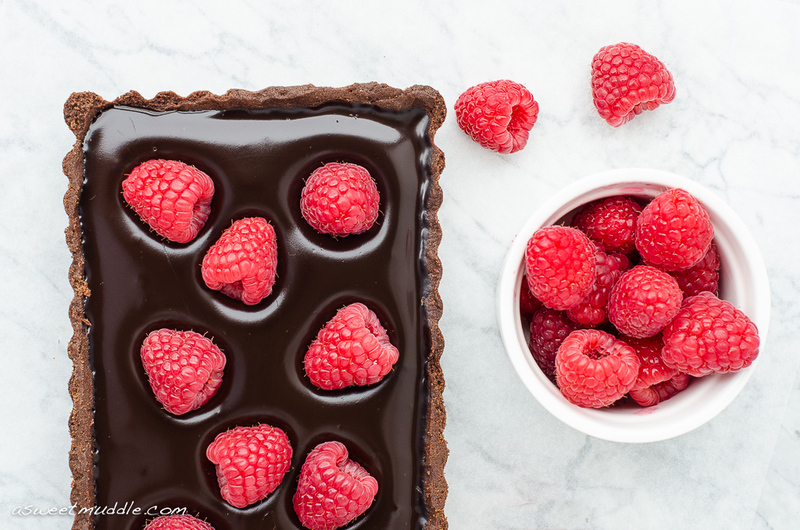 To serve, remove the tart from the tart tin and scatter with fresh raspberries. 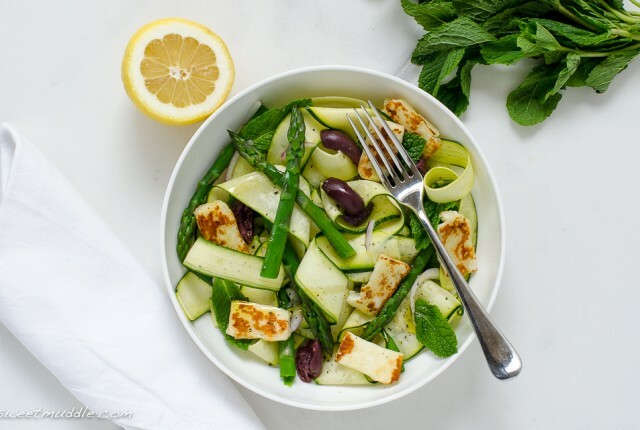 *You can use a food processor for this step if you have one. 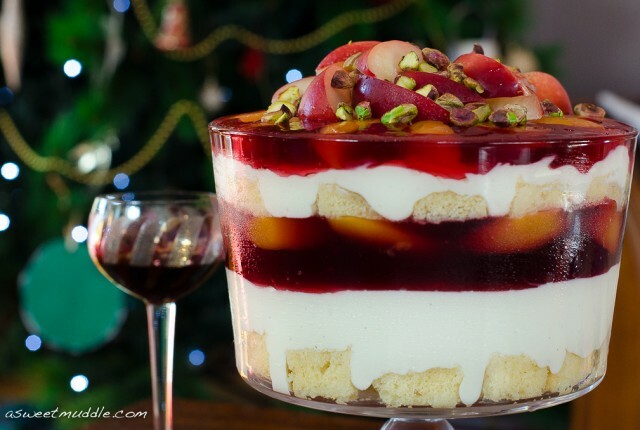 **The pastry should keep in the fridge for a week, and up to about 2 months in the freezer. 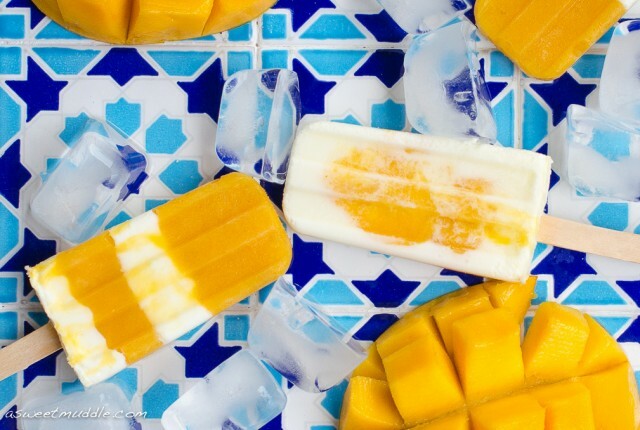 If you do freeze your pastry, take it out of the freezer the night before you intend to use it and place it in the fridge until ready to roll out the next day. That is the most beautiful dessert I a have ever seen! It looks like a piece of art! Thank you for sharing such a fabulous piece of art! Thanks Sonny 🙂 I’m so pleased you like it! It was beautiful (not to mention delicious!) and if you don’t mind making your own pastry, it is actually really simple to make. If you’re tempted to give it a try yourself, be sure to let me know how it turns out! 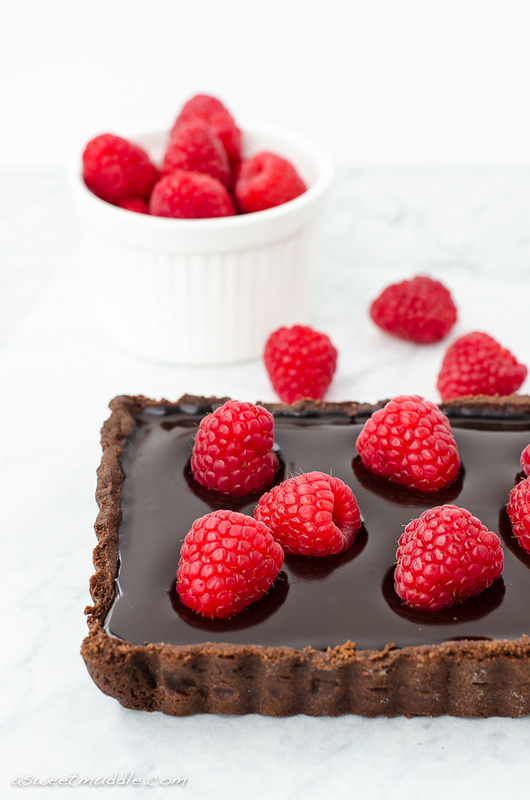 This chocolate tart just looks SO delicious.. not to mention beautiful too! Thanks Thalia, I was really pleased with how it turned out! Thankfully I had a lot of people to share it with because as you can tell by the recipe, it’s very rich! So beautiful Rachel, I love how glossy that chocolate is, it looks divine. I love the glossy look of the tarts filling. 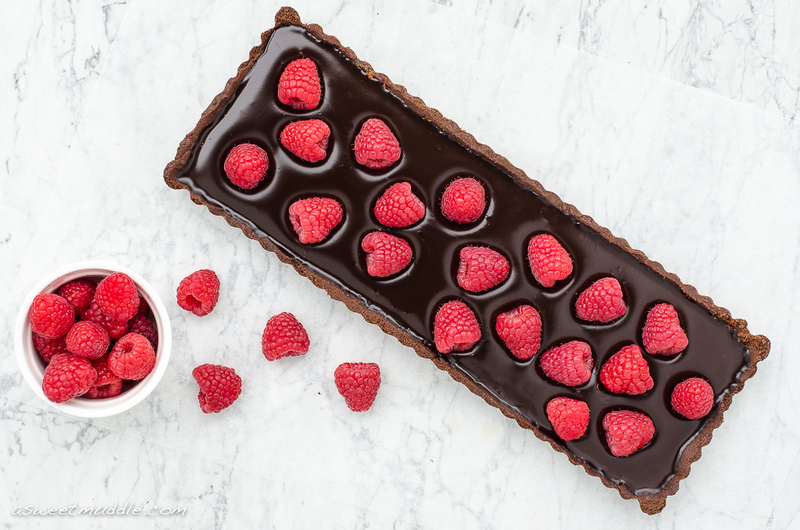 Rectangular tarts are so fun and this is just beautiful! Thanks Jolena 🙂 I’ve been wanting to make a rectangular tart for the longest time now so was pleased to finally give it a go. I really love the shape, so it won’t be the last either! I used a Jamie Oliver recipe for the filling and was pleasantly surprised at just how glossy it was! Those raspberries on chocolate look so perfect.. 🙂 Happy Valentine’s day! Thanks Medeja 🙂 Happy Valentine’s day to you too!